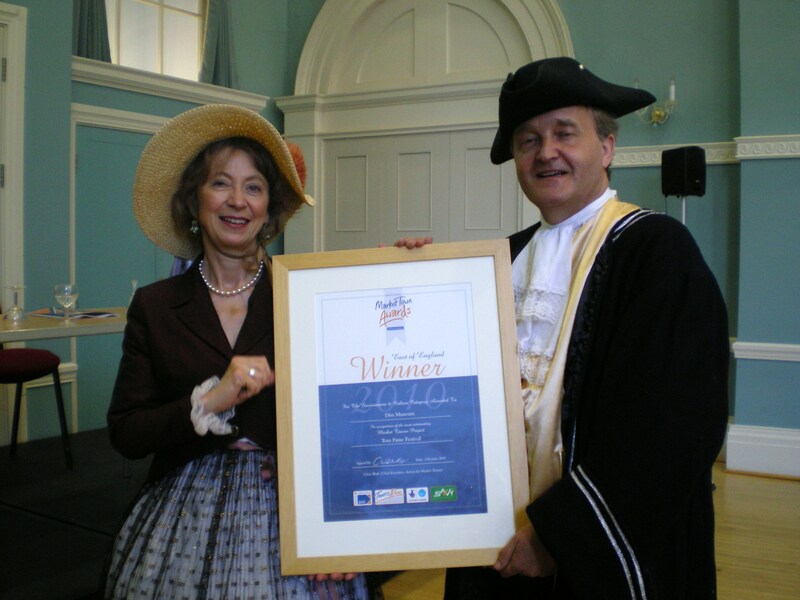 Diss Museum picked up its third award this year at a ceremony in Swaffham. Last year’s Tom Paine Festival gained the East of England Market Towns Environment & Culture Award, previously won for Diss by the 2004 Skelton Festival. Each category winner was asked to give a presentation. Museum manager Basil Abbott and Diana Courtman acted a scene by Paine and feminist writer Mary Wollstonecraft. Diana Courtman (Mary Wollstonecraft) and Basil Abbott (Tom Paine). ← Read Sustainable Diss 2030 and give your views!